Jembrana, the West Bali Regency, is now famous with the Jegog music (Bamboo Orchestra) and the Mekepung (Buffalo Races). But it also has some dances that were originally created by local Jembrana’s artists. These original dances are Luihing Paksi Dance, Mekepung Dance and Cempaka Putih Dance. Luihing Paksi Dance is inspired by the white starling bird (Jalak Bali), that can only be found in West Bali. It stories about the wildlife of starling bird in the jungle, which plays and flies from one tree to another. This dance is accompanied by Jegog and vocal instruments from the musicians. Jembrana also has Mekepung Dance which is inspired by the Buffalo Race attractions. This is a new dance creation that reflects the process of the buffalo race, from its preparation and race itself. This dance also accompanied by Jegog Instrument. 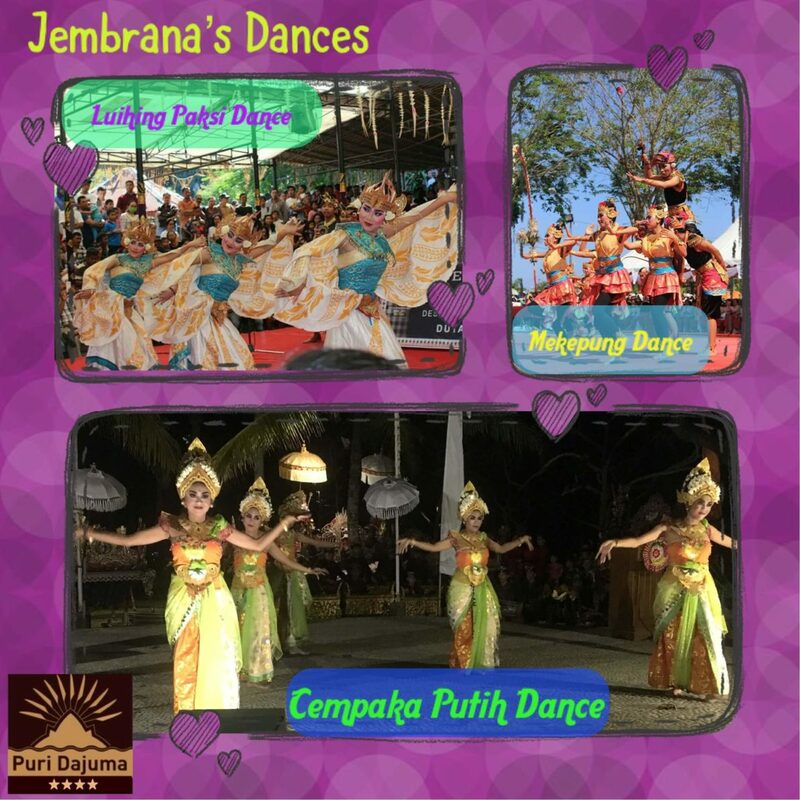 The icon of Jembrana’s dance is Cempaka Putih Dance, Cempaka (Magnolia) is one of the flower in Bali. This dance depicts the beauty and fragrant of the white cempaka flower which become one of the means of ceremony or worship of Hindu people. Cempaka Putih dance is accompanied by Jegog music, mixed with metal music instrument (gamelan) and vocal instrument as well. Don’t miss to discover these 3 pearls of West Bali culture on the occasion of your next stay with us!